This product is for a single Fleet Trooper (SWL_0027) - Miniature. This product is for a single Fleet Trooper (SWL_0028) - Miniature. This product is for a single Fleet Trooper (SWL_0029) - Miniature. This product is for a single Fleet Trooper (SWL_0030) - Miniature. 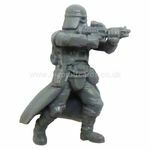 This product is for a single Scatter Gun Trooper (SWL_0031) - Miniature. 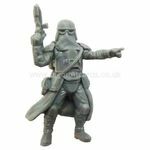 This product is for a single MPL-57 Barrage Trooper (SWL_0032) - Miniature. 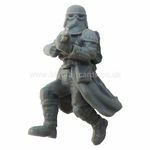 This product is for a single General Veers (SWL_0033) – Miniature. 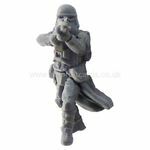 This product is for a single Snowtrooper Unit Leader (SWL_0034) - Miniature. This product is for a single Snowtrooper (SWL_0035) - Miniature. This product is for a single Leia Organa (SWL_0035) - Miniature. This product is for a single Snowtrooper (SWL_0036) - Miniature. This product is for a single Snowtrooper (SWL_0037) - Miniature.